Closing invoice refers to when your invoice turns from a 'draft' status into a fixed invoice number. This is mainly for the purpose of exporting to your accounts or if you have an accounting integration with Xero. Some businesses prefer to consider their pre-arrival invoices in their accounts, and some prefer to only account for invoices once the the customer has departed, which is why we give the option to 'close' and invoice at either of these stages. 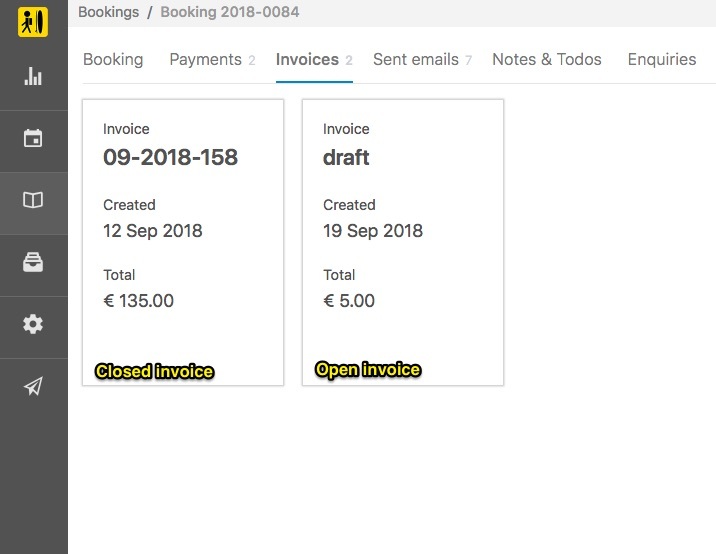 When your invoice is set to draft, items can be added to or deleted from the booking and the invoice will be updated accordingly, until the invoice is closed. 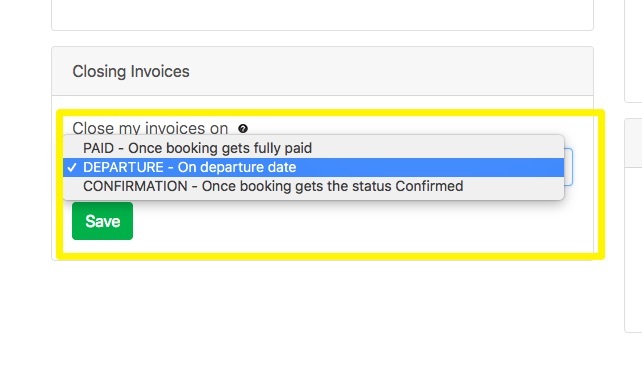 Important: When a customer uses your Payment Form to pay a deposit or balance, they are able to see the total due amount across all invoices, and they can download each invoice separately.